Sad news for Wigan fans today when it was announced that Roberto Martinez would be leaving the club. Following a lunchtime meeting with Wigan chairman Dave Whelan, Martinez has offered his resignation. “He wanted permission to move so I’ve given that. He has 12 months left on his contract, so whoever comes in for him must pay the remainder of his contract. He feels he’s not the man to lead us back into the Premier League. I’ve got to accept what he feels. It is fair to say that Roberto Martinez and Wigan Athletic have been synonymous. 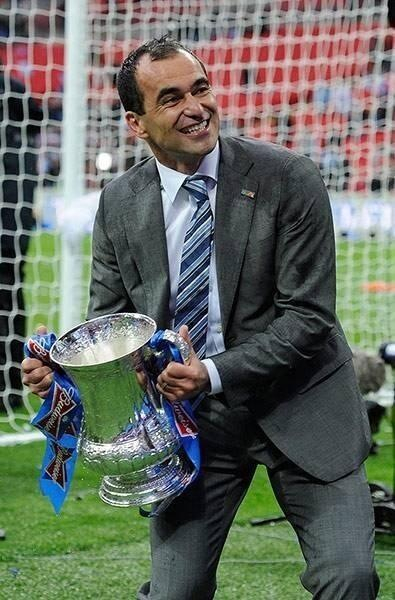 Martinez’s journey from former player to FA Cup winning manager is an incredible story. When he joined the club as one of the ‘Three Amigos’ back in 1995 no one could have imagined the impact he would have on the club and that he would one day lead them to glory in 2013. His achievements as a manager will go down as the most important in the club’s history so far. Martinez’s attractive style of football has delivered the FA Cup and Europa Cup qualification and memorable first victories against all the top clubs in the Premier League. Since he became manager the club’s financial position off the pitch has improved with the club making an operating profit of £4.3m during 2011/12. Wigan are currently sponsored by 12Bet.com and the company have the option of a third year’s sponsorship. Despite relegation parachute payments of £23m should give the club the resources to mount a challenge for promotion back to the Premier League. Relegation is a setback and the appointment of the right manager will be crucial to make a quick return to the top flight. Possible contenders mentioned so far include Martinez’s assistant Graeme Jones, Steve McClaren and Mark Hughes. Martinez is now regarded as one of the leading contenders for the Everton job, after Everton chairman Bill Kenwright was given permission to talk to him. In previous seasons Roberto has turned down offers from Aston Villa and Liverpool, but now felt it was the right time to make a change to another club. Martinez should be applauded for creating something very special at Wigan. He built the club according to his own personal beliefs, transforming it into a forward thinking and attractive footballing outfit and he delivered the biggest domestic trophy in world football. Wigan fans will be very disappointed with his decision, but they should appreciate the magnitude of what he has achieved over the last four seasons. This entry was posted in Dave Whelan, Roberto Martinez, Wigan Athletic and tagged Dave Whelan, Roberto Martinez, Wigan Athletic. Bookmark the permalink.